Some time ago I had some bananas to use up. I'm not keen on banana loaf or cake but I love carrot cake. I looked through several recipes but all of them contained ingredients that I didn't have in – walnuts, sultanas, cream cheese. So I decided to work out the ratios for the cake tin size I wanted to use and add in the ingredients I had. That's how you create a cake recipe. I had some more bananas to use up again recently but had Bundts on the brain. I thought I could amend my original recipe to turn it into a Bundt cake. I used my Jubilee Bundt pan as I wanted the cake to double up as an Easter nest. A selection of mini eggs nestled in the grooves and you're good to go. 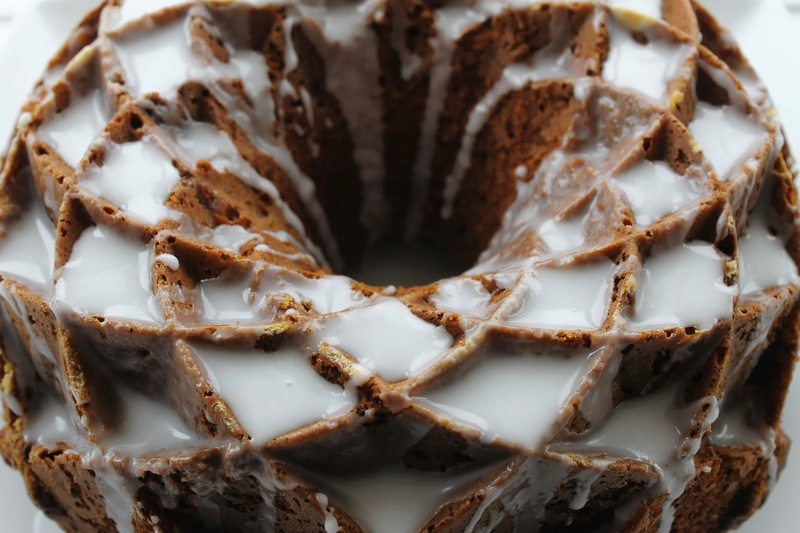 It's a naturally moist cake with the addition of the carrots and bananas plus the use of oil. The lemon icing topping just finishes it off nicely without making the cake too heavy. 3. Measure all the ingredients for the cake into a large bowl and mix well until thoroughly blended. It will look a bit like coleslaw! 4. Pour into the prepared tin and level the surface. 5. Bake in the oven for about 50-60 minutes until well risen and shrinking away from the sides of the tin. 6. Allow to cool in the tin for 10 minutes before turning out and leaving to cool completely on a wire rack. 7. To make the topping mix the icing sugar and water together until it goes into a smooth paste but runny enough for drizzling. Add the lemon extract and stir in. 8. Drizzle over the top and then add any decorations as required. I'm always on the lookout for something to bake in my Bundt tin. Banana & Carrot? What a healthy cake...... Sounds lovely! Sounds delicious. My hubby loves banana cake and carrot cake so I suspect this'll be right up his street! 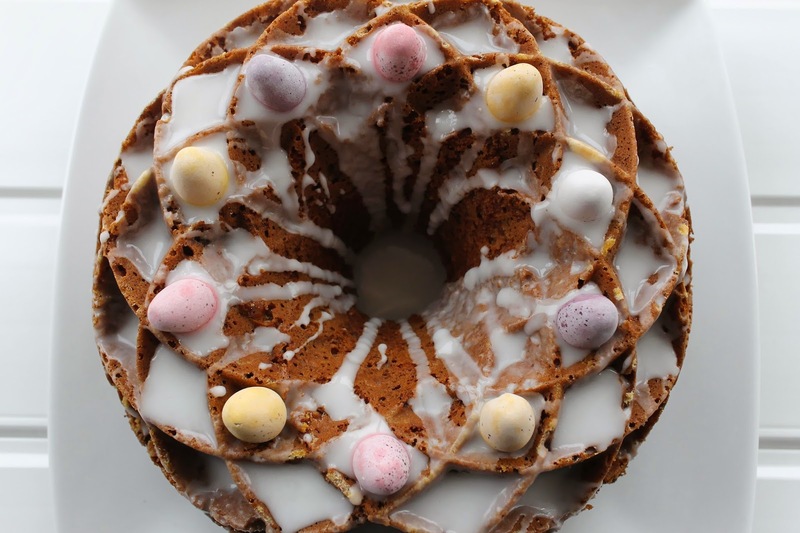 I love how the addition of the mini eggs turns it from a lovely cake into something perfect for Easter. I think any cake decorated with mini eggs is good! Thanks for sharing with Alphabakes.